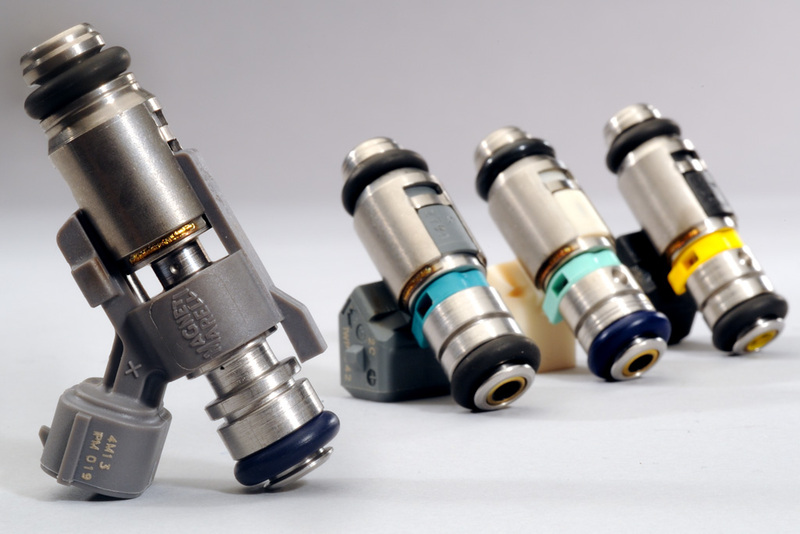 With over 25 years of experience, Magneti Marelli is one of the market leaders in the supply of injectors for Port Fuel Injection applications, and it directly supplies leading international carmakers. PFI injectors are the family of components commonly used on indirect injection systems for light motor vehicles and, more and more often, also for applications on motorcycles and small engines in general. The primary function of an injector is to convert the electric command signal received from the electronic control unit (ECU) in the exact quantity of fuel needed by the engine for proper combustion. MM injectors, flexible in terms of both layout and performances and currently used with excellent results on the engines available today on the market, are ready to equip even the systems of future generations, which require even higher performances in terms of emission levels and use of more eco-friendly fuels. The family of Picojet injectors ensures the coverage of a wide range of customer requests, as concerns flow rates, spray configuration, operating range, pressures and supply voltages. Thanks to its vast experience as supplier of injection systems, Magneti Marelli can offer personalized and optimized configurations according to the specific needs of each engine.